This owl trivet, 70s enamel. I quite like owls. My mother used to call me ‘Brown Owl’ when I was a kid, because I have brown eyes and (apparently) used to go very tanned in the summer. (Well, it was the 70s. We used to slather coconut oil on ourselves then for extra roasting!) Anyway, I thought he was very sweet. 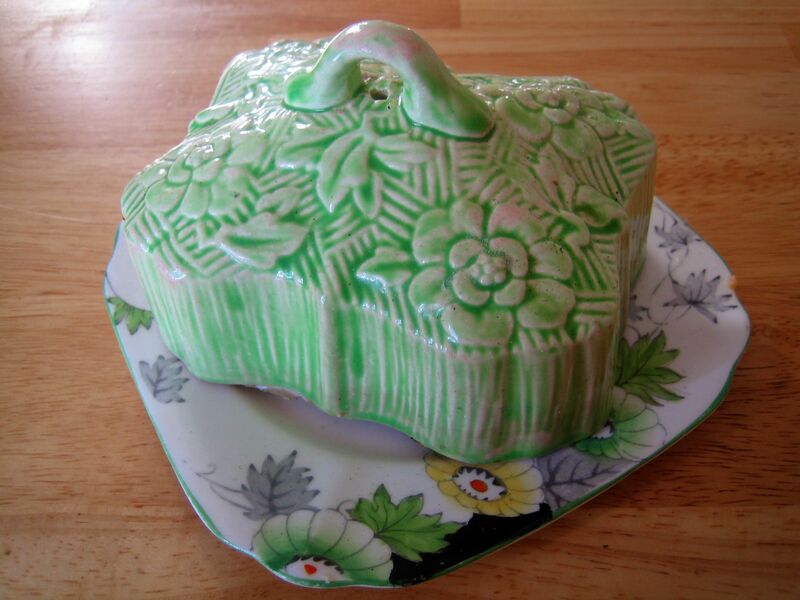 This little green butter dish lid. There was no base, but I just sit it on a vintage plate. I like mixy-matchy anyway. 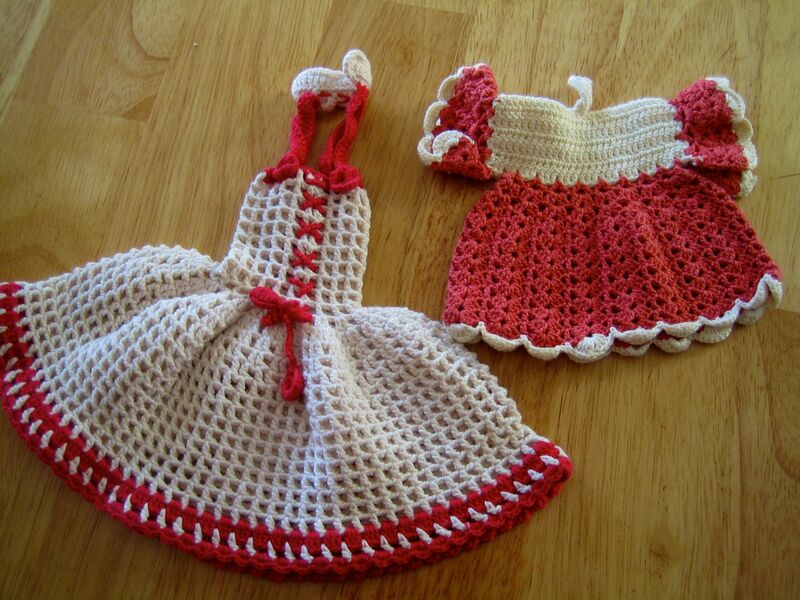 This wee vintage crocheted dresses. The one on the left is a doll’s dress and the other, as there is no neck hole, is a sugar bowl cover, I think. Why did I buy these? Good question! There were 20 cents each and I thought they were sweet. What am I going to do with them now? No idea. Such is the nature of the impulsive op shop purchase! 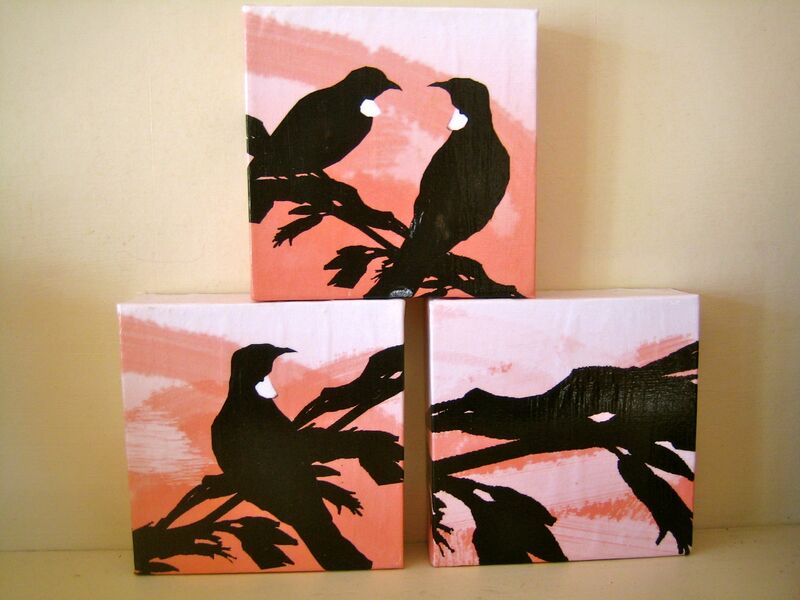 And finally, this tui triptych. I like them a lot, but I imagine they were at the op shop because the artist who did them wasn’t happy with their efforts. Thank you, anonymous artist, I very much like what you made. Anyway, these are the highlights of my recent op-shopping. Random enough for you? I love that owl trivet. I have been looking at trivets ever since in a sort of OMG kind of way. Well… I don’t know about that! I mean it is a totally awesome offer! 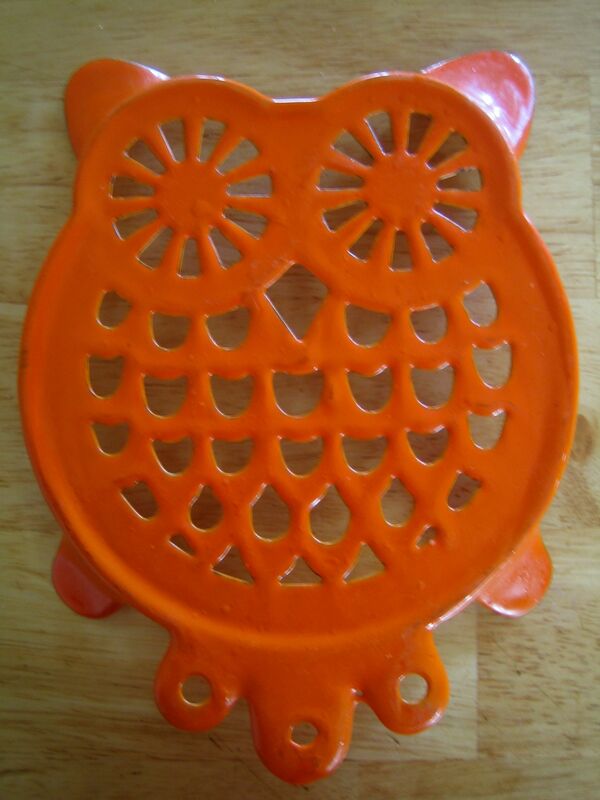 But it’s your owl trivet! Here’s one of the ones I have been looking at. It gets two of my areas of interest at once. Trivets AND Crown Lynn! Ooh, that is amazing in every way….native birds, white, lovely design…yes, pretty darned special! I found 3 of the little crochet dresses that aren’t dresses and have wondered what they were for – thankyou for clearing that up!